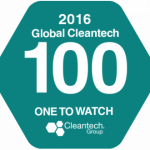 Recently, we were deeply honored to learn that we had been included on the Global Cleantech 100 Ones to Watch list. This award is meaningful because according to sponsoring organization Cleantech Group (CTG), we were selected from 9,900 nominated companies from 77 countries. The list was winnowed down and reviewed by a panel of 86 industry experts who chose the winners, each of which is an independent, private, for-profit cleantech company. Because the list represents cleantech companies making an impact, we’re pleased to be recognized as part of this impressive group. Even though SiteSage offers functionality beyond energy control, analysis, and monitoring, that’s where our journey began and energy efficiency continues to be an area of strength for us. Much of our team joined Powerhouse Dynamics because we were inspired by the mission of helping companies become more sustainable, both through energy conservation and through operational efficiency. Each of us tapped Powerhouse Dynamics as One to Watch, and we’re glad that industry experts agree! Interested in joining the Powerhouse Dynamics team?